Mikaela is a former student of Elizabeth Eckert, a long time Suzuki student and teacher, and received pre-college piano instruction through the Suzuki method at the Blair School of Music. She completed a degree in piano performance and music composition on a full scholarship at Belmont University. 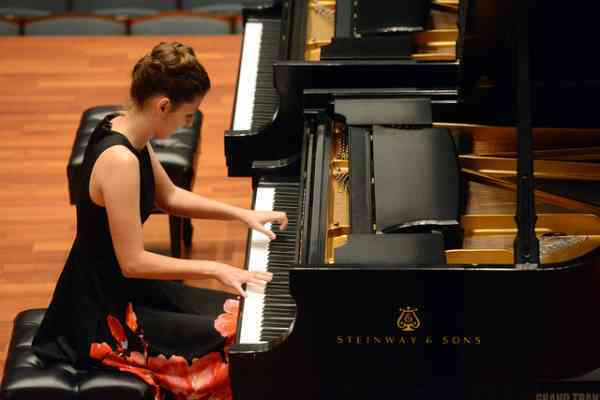 Mikaela has performed for pianists Joyce Yang and Dror Biran, with Belmont University’s New Music Ensemble, and on the Belmont University’s Instrumental Honors Recital. Awards include Woods Piano scholar and the Myra Jackson Blair Scholarship. Belmont University’s Composition Honors recital and New Music Ensemble concerts have featured her compositions. Mikaela is a trained and registered Suzuki piano instructor and recently joined Eckert Suzuki Music as an associate teacher.